The squeeze play is certainly effective when playing poker. If used correctly it will help push your win ratio in the right direction. Let’s squeeze out some of the key pointers for those intent on adding to their Hold’em strategy locker. This is a bluffing play that can be used to your advantage when a loose player decides to raise before the flop and a 2nd loose player calls behind them. 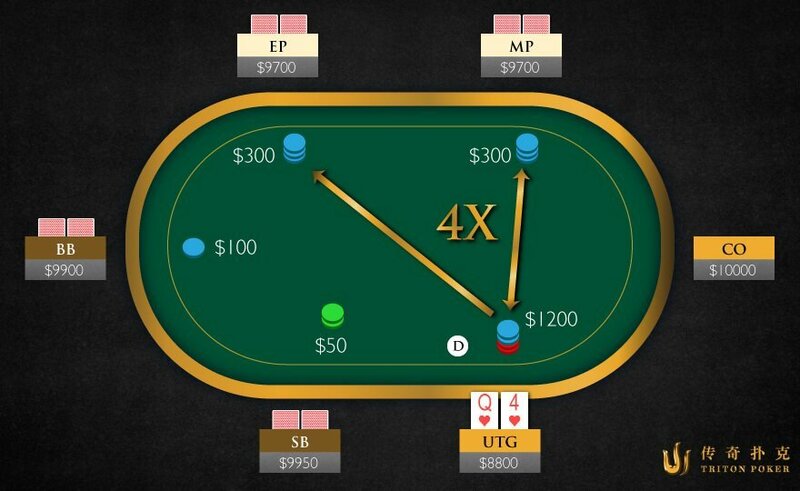 Your “Squeeze” comes into play by putting in a big 3-bet and taking both opponents off the pot. What types of opponents should you use this play against? The general importance of watching and committing to memory the style of opponent’s play is a crucial part of upping your poker game. An example of such observation is shown when it comes to enacting the squeeze play. This is because loose/aggressive players often open with a wide-ranging hand whereas weaker/passive players are prone to call with a varying hand simply to achieve a cheap flop. In the vast majority of instances, neither type of player will have a hand which will stand up to your calling of a big 3-bet. Using squeeze play tactics should really only be considered in tournaments or no-limit hold’em games. You need to be able to apply force through a big wager. As the term suggests, limited stakes games will mean you cannot raise high enough in order to force opponents to fold. As the calling player you need to be aware that the opening raise opponent has, and is showing a loose table image. Your skill is to identify the correct combination of both loose open raising as well as loose flat calling in order to achieve a worthy percentage of folds. Don’t try to squeeze if you are not prepared to bet large in order to force opponents to fold their mediocre hands – Think in terms of your squeeze raise being at least 5 times that of the initial raise. An added bonus is that if any players left to act are tight players, they are unlikely to call ‘light’. You should always bear in mind how you have been playing in a session and what your plays and actions are giving off to opponents. The tighter you can play, the more advantageous it will be in terms of how lightly they are willing to call off in any squeeze situation. The poker hand that defined Squeeze Play!